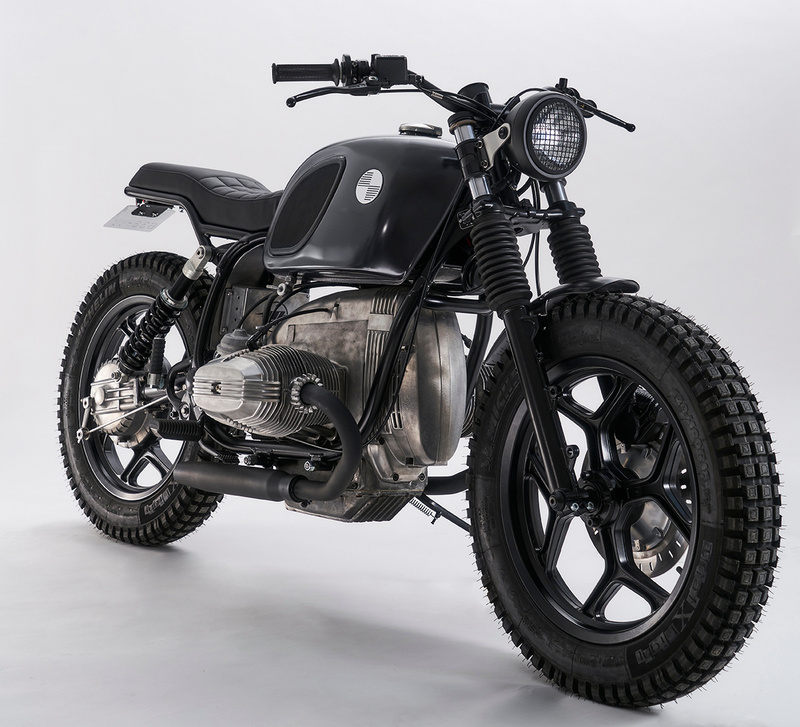 The BMW R80 has become a popular platform for a street-oriented scrambler build. 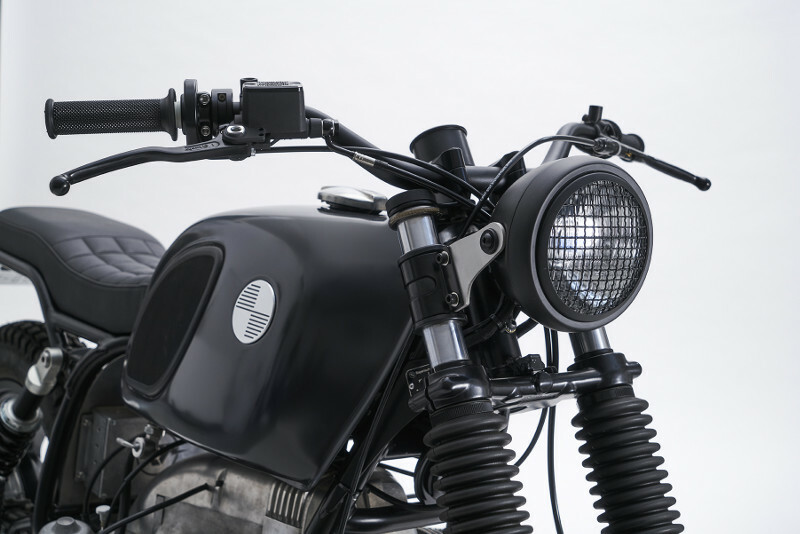 It’s no surprise, really — the air-cooled boxer is tough as nails, built for field repairs, and looks mean when stripped down to the bones. 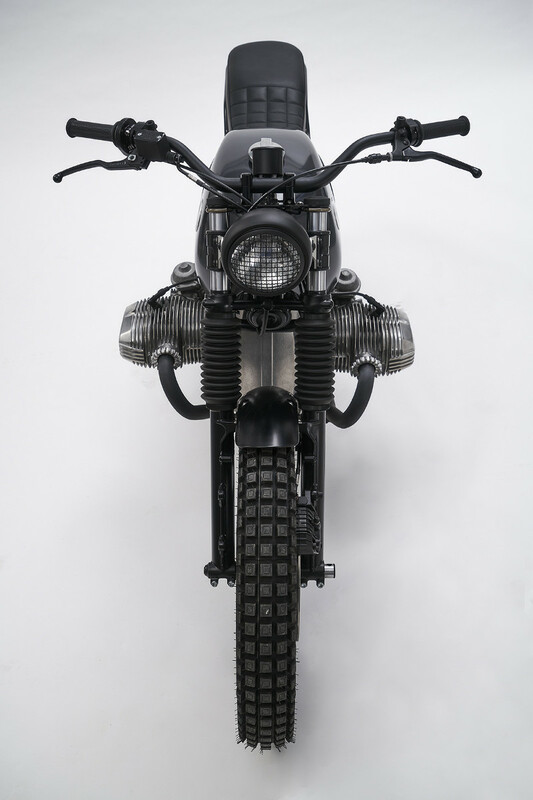 Enter one of our favorite builders, Rémy Pagart of France’s MUTO Motorbikes. 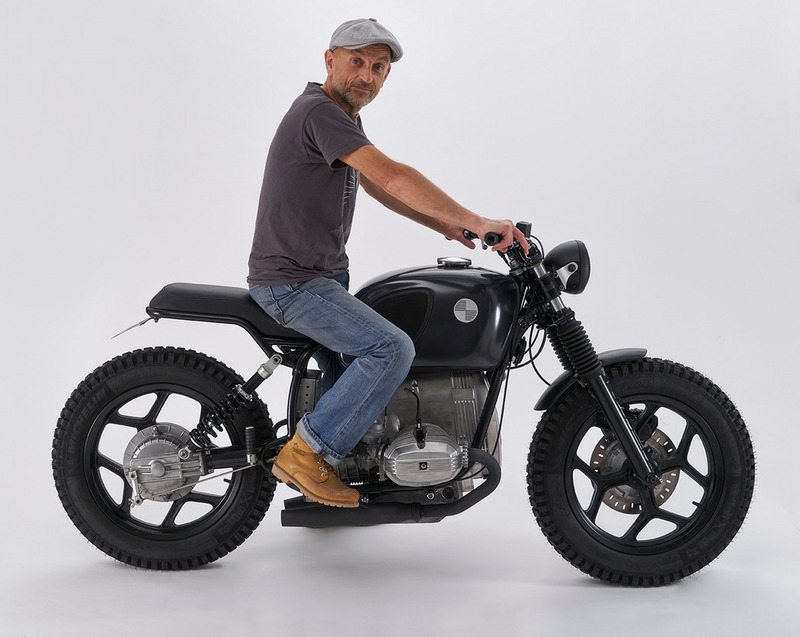 Rémy, who is an artist and designer, wanted to build a radical R80, but sometimes you have to do what the customer wants. 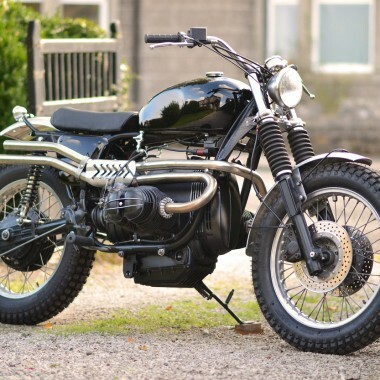 This customer wanted a classy yet aggressive R80 scrambler. 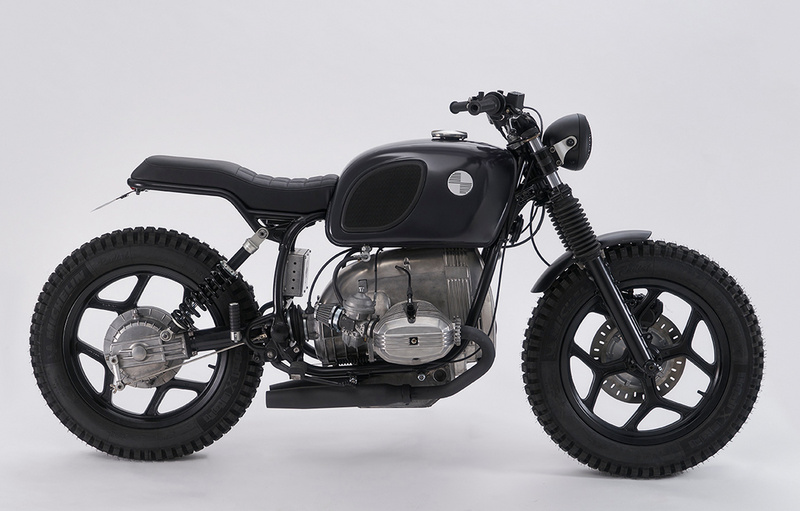 Rémy managed to take a wrecked R80 and build a boxer stands out from the crowd with the square tail, slash 6 tank, and the overall balance of the completed machine. 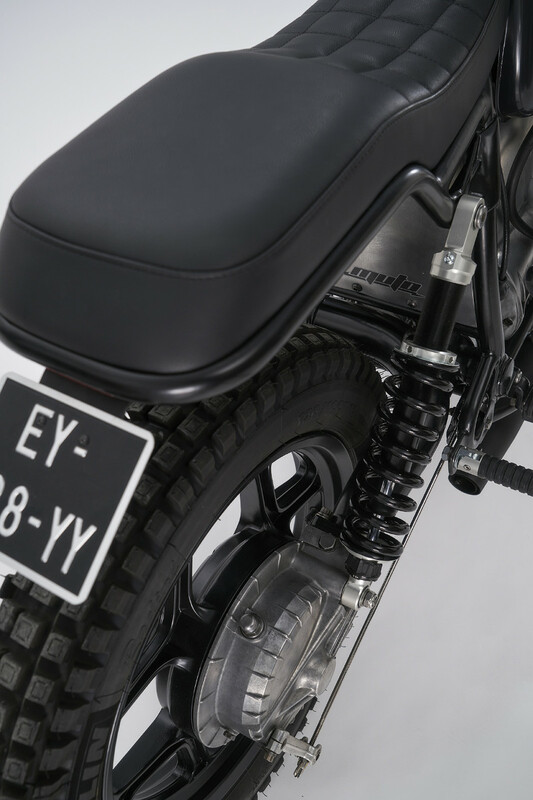 All MUTO Motorbikes have names that end in “-o.” Past builds include TRACTO and PIMENTO. 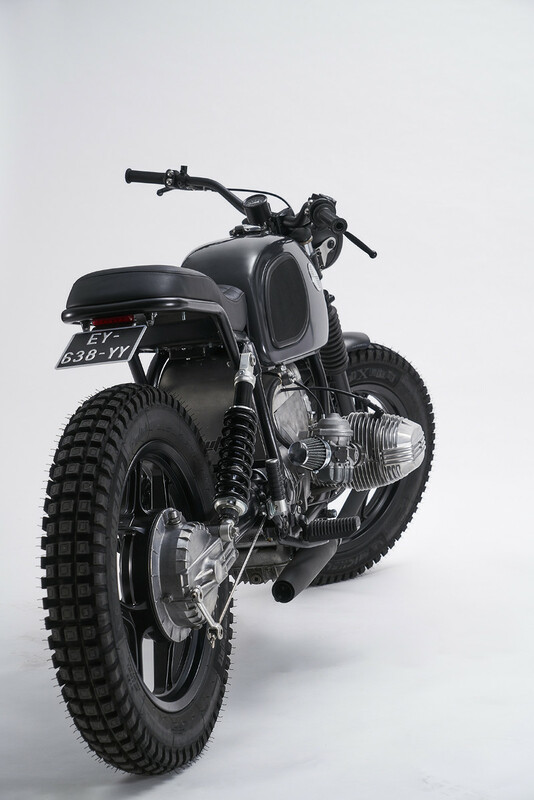 This finished build has been dubbed “SUMO,” a nod to the “big, fat, strong” Sumotori-like stance of the bike. 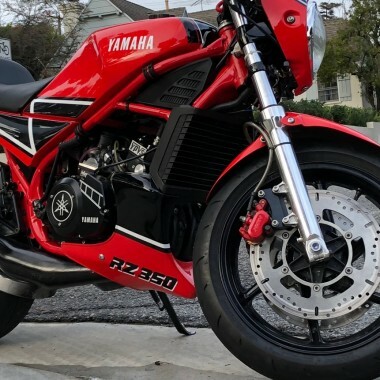 Below, we get the full story on the build! 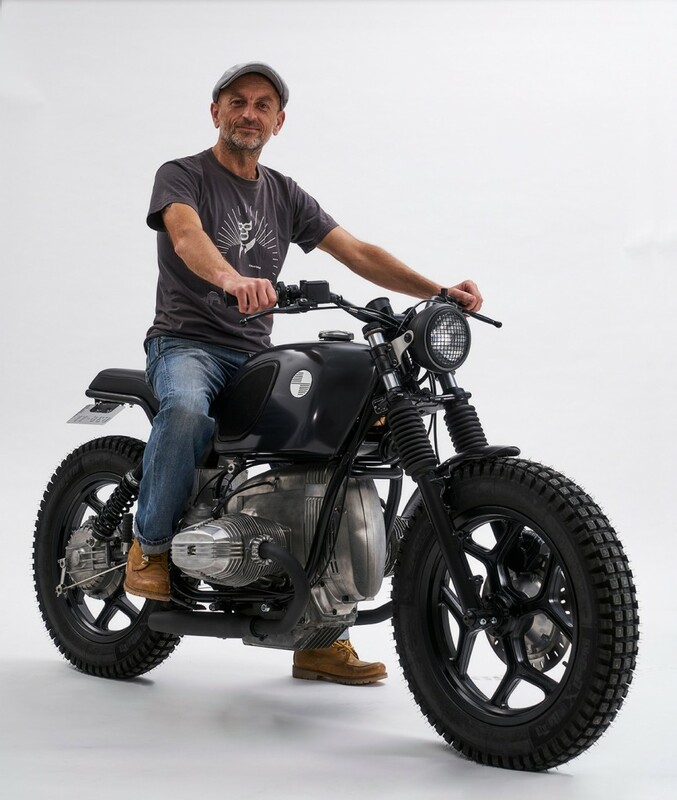 The customer had a fairly accurate idea of what he wanted, a lot of images of BMW transformed — but of course, I was happy to suggest other options. 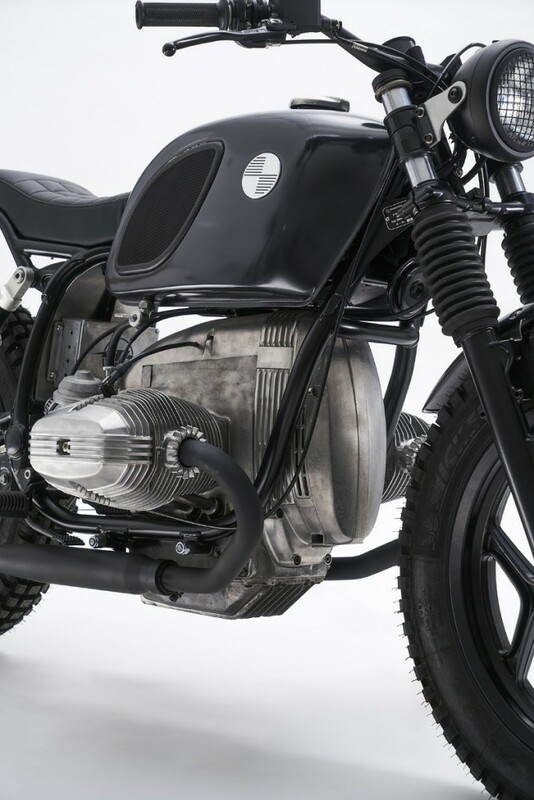 It’s certain, it’s trendy — everyone wants his little “Scrambler” BMW and it is understandable as this base is interesting. But I wanted to offer him something different, more radical. Well it did not happen… No problem! In fact, he wanted a motorcycle that was both classy and aggressive and not mono-place. 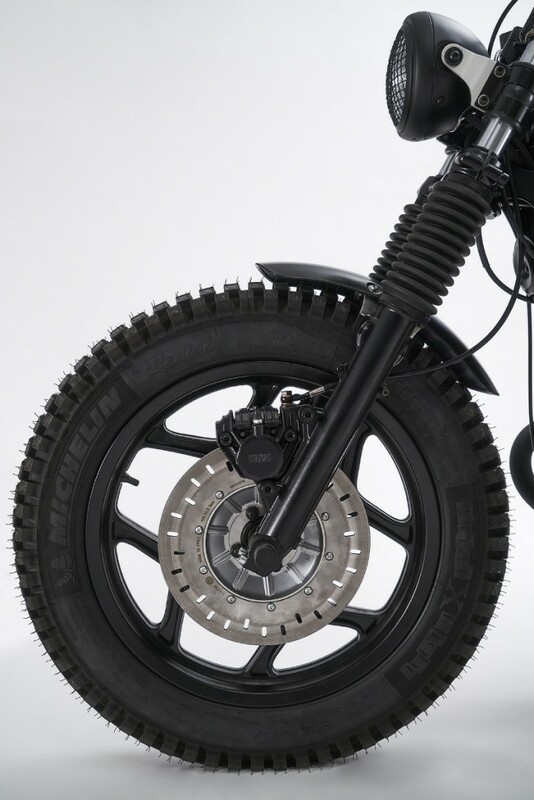 So I offered to make him a boxer, short, stripped, with a balanced mix of black, gray and aluminum for the class side and tires with crampons for the aggressive appearance. Regarding the seat, I drew a “small” bi-place but well paced. 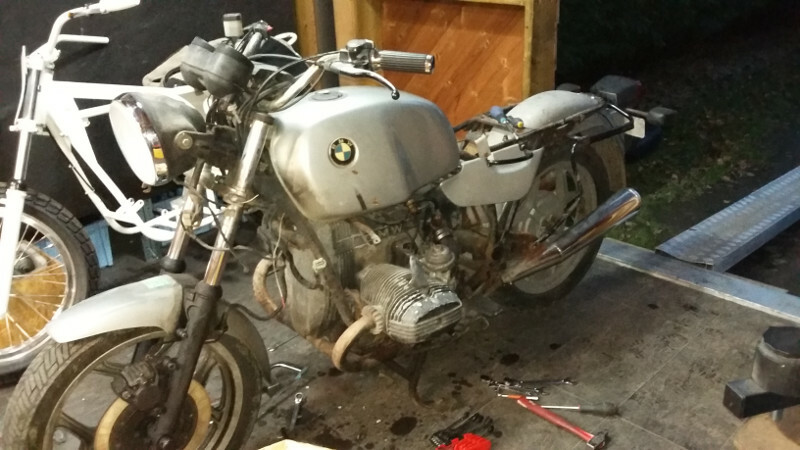 This bike is a 7 series and I’m not a fan of his tank; so, I replaced it with a series 6 that has a lot more character. I created a new but slightly square back loop to change the round one that everyone uses and put on a custom made leather seat. Even if I’m not a big fan of stock rims, I must say that they are quite sober and I liked it; so I kept them. Of course, epoxy lacquer on the entire frame and on the wheels. 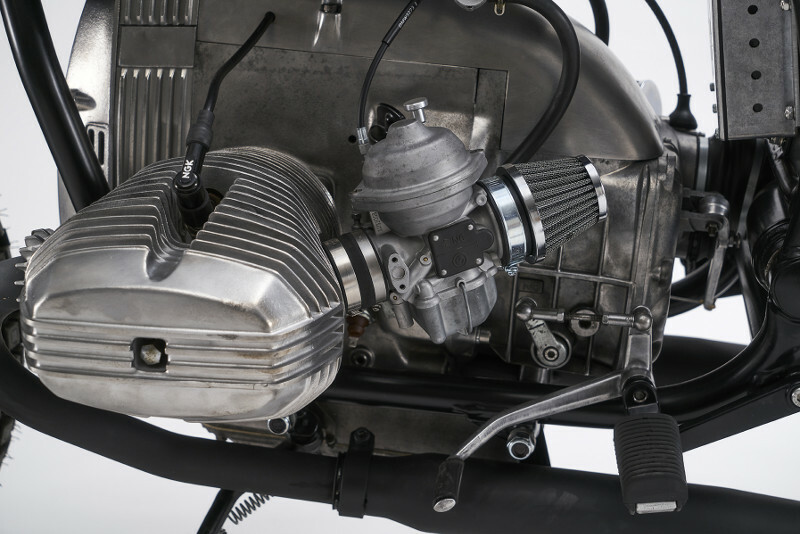 The air filter housing has been replaced by a rounded aluminum motor housing. 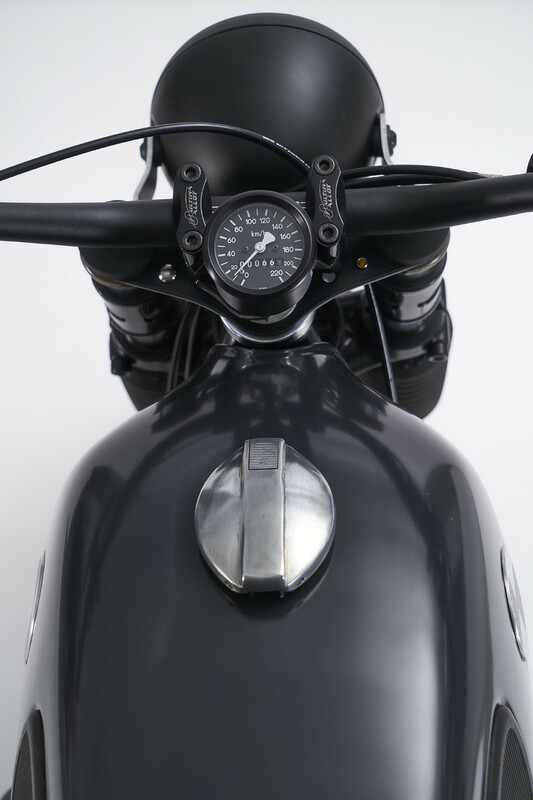 A small headlight with a fine grille, little mufflers just noisy enough, and a wide handlebar finished the boxer-scrambler look that I wanted to give to the beast. 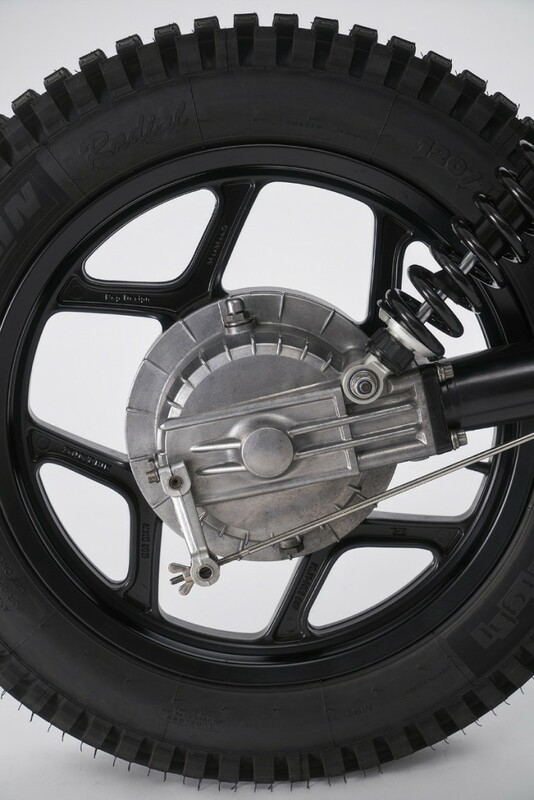 Electricity and controls, Motogadget, of course. So, at the end and once again, a beautiful big toy full of flexibility and surprises. 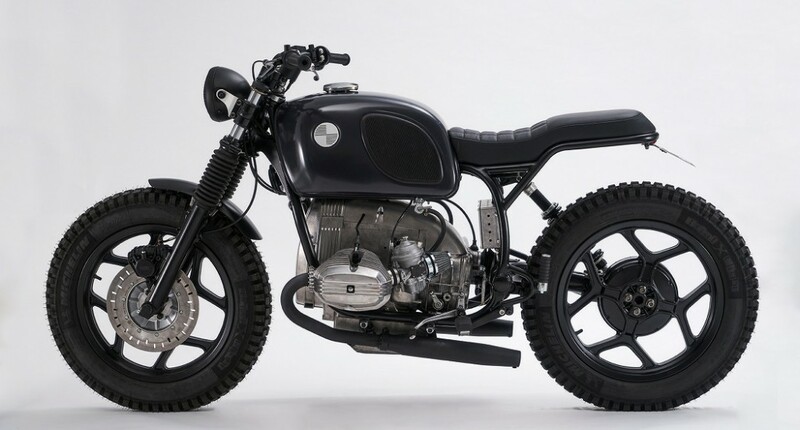 Nice well sorted usable bike.The sort I like.